Advanced Photoshop Magazine | Archibald Butler | A digital illustrator, web animator, and front end developer. 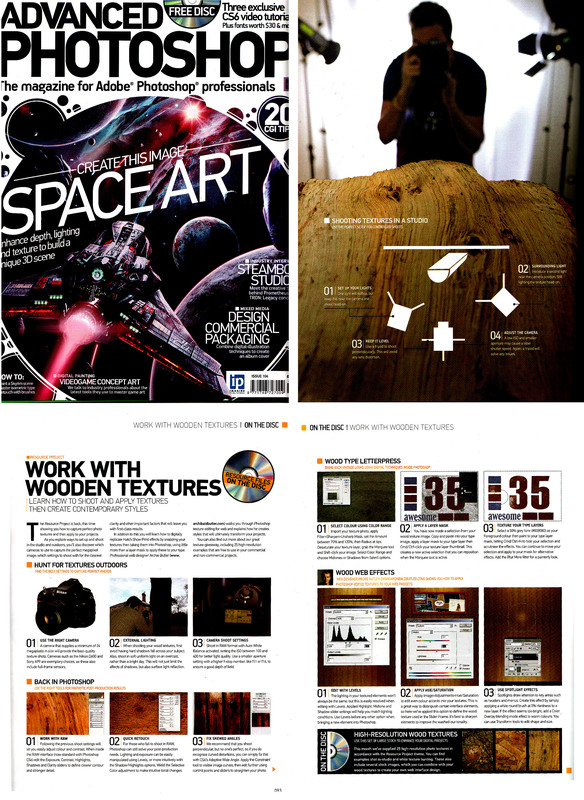 Advanced Photoshop Magazine interviewed Archie Butler! They called me up to ask if I wanted to be interviewed for an article on wood textures. I accepted instantly.